Try this delicious recipe for a roasted cauliflower mash that is low-carb and good for you! It’s a perfect option for a low-carb lunch or dinner side. You won’t be missing mashed potatoes after trying this recipe for a low-carb roasted cauliflower mash! Cauliflower may be low in carbs, but with the herbs and ingredients in this recipe, you won’t believe this mash is made from the humble cauliflower. It tastes just like regular mashed potatoes! It’s a smooth, buttery, and creamy alternative to mashed potatoes and it’s easier to make too! There is less prep time and no peeling is necessary. It’s such a simple recipe that you might find yourself returning to it again and again. Step 1: Preheat your oven to 350F (180°C). 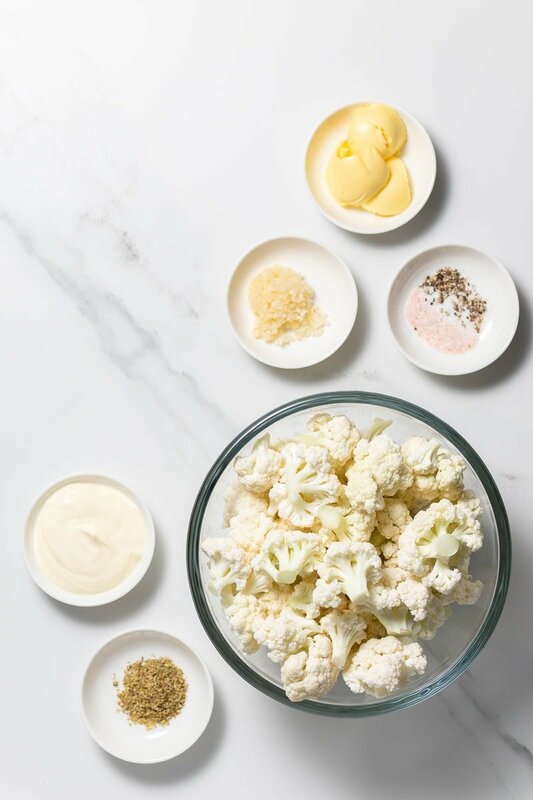 Prepare all your ingredients by chopping the cauliflower into florets and measuring out the rest of the ingredients. Step 2: Add the cauliflower florets to a large baking tray. Drizzle over the olive oil and use your hands to rub the oil into the cauliflower florets. Sprinkle the oregano over and give the cauliflower a mix. Step 3: Bake for 25 – 30 minutes, rotating halfway through. The cauliflower should just be starting to brown when it’s done. 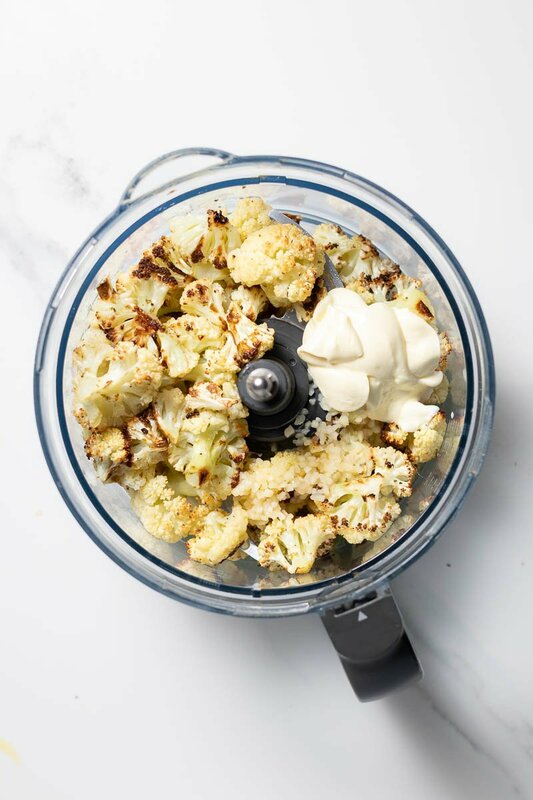 Step 4: Add the roasted cauliflower to a food processor along with the butter, garlic, sour cream, and salt and pepper to taste. You can also use a potato masher to mash the ingredients together. Step 5: Process the mixture for 2 – 4 minutes until smooth and creamy. You might need to stop the processor halfway through to scrape down the sides. You can add more sour cream here if the mixture is too thick. Step 6: Garnish with some butter, chives and chili flakes and serve. 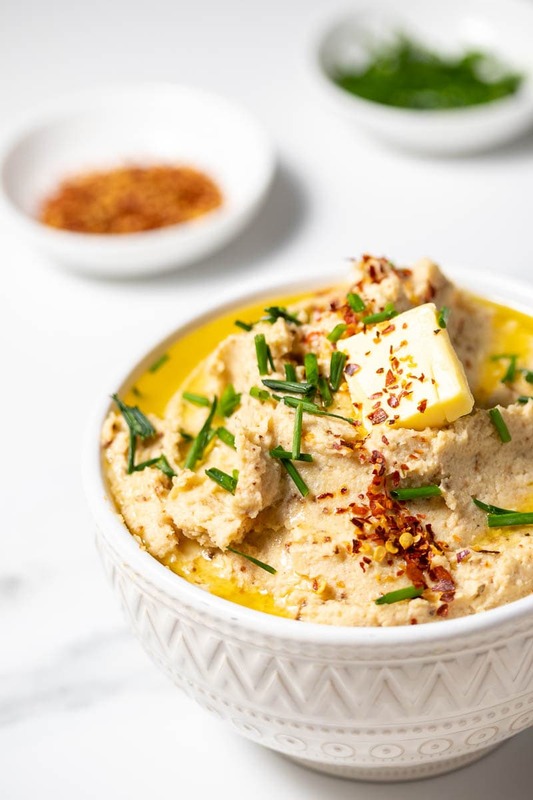 The preparation for this recipe is already super simple but you can make it easier by buying precut cauliflower florets from the store. Fresh cauliflower works best for this recipe as frozen cauliflower can make the mash wetter and not as firm as mash should be. 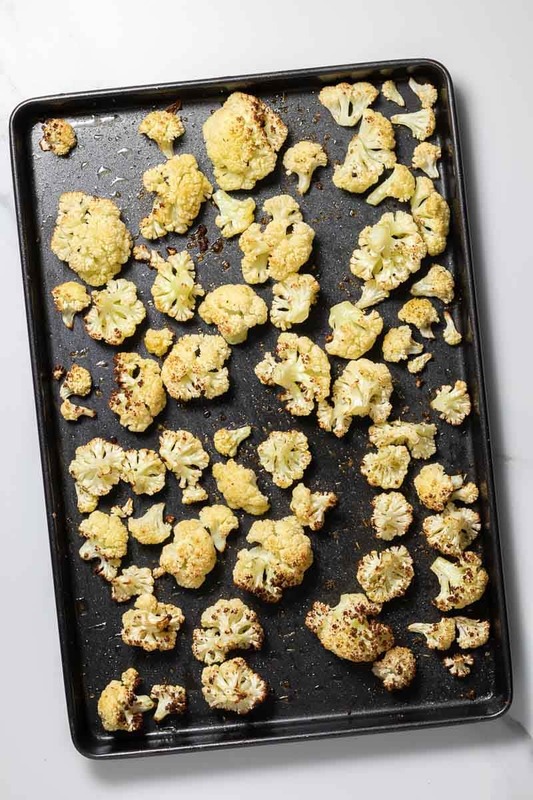 You can boil or steam your cauliflower florets if you prefer. Boil for 15 minutes or steam for 10 minutes until cooked through. This means you can omit the olive oil and oregano from the roasting part of the recipe. I would still add the oregano to the mash in the food processor later in the recipe. You don’t have to use a food processor to make your cauliflower mash. 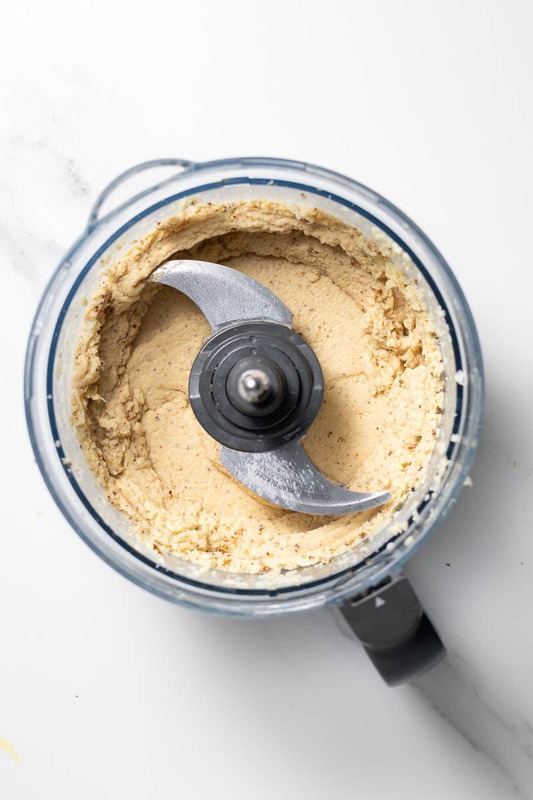 You can use an immersion blender to achieve the same smooth consistency. For a more textured mash, use a hand potato masher and mash to your desired consistency. There are many ways to spice up your mash! Some other ingredients to consider adding in are cheese, garlic salt, chives, and bacon bits! Using cauliflower is so much fun in the kitchen and you can be very creative with how to use it. Replacing starches, making creamy sauces and soups are some of the best uses for this versatile vegetable. You can also read this roundup created of 10 low-carb cauliflower recipes for even more food inspiration! 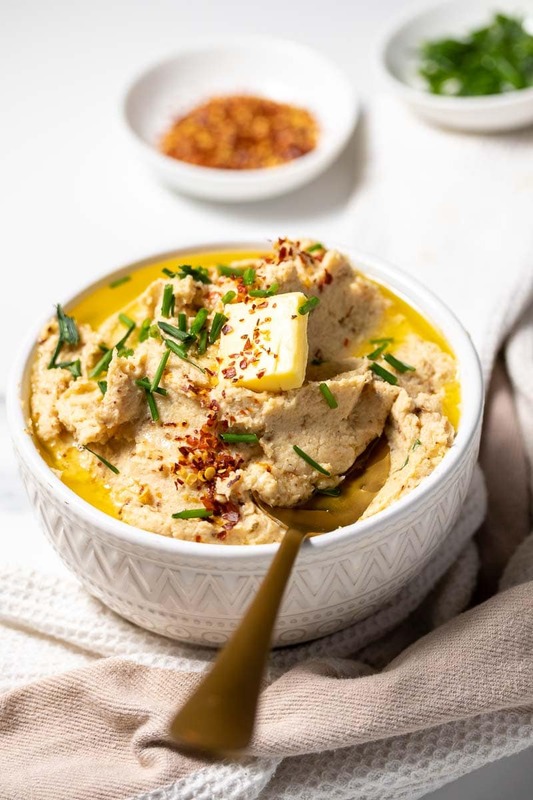 When you’ve tried my roasted cauliflower mash, please don’t forget to let me know how you liked it and rate the recipe in the comments below! Try this delicious recipe for a roasted cauliflower mash that is low-carb and good for you! It's a perfect option for a low-carb lunch or dinner side. Preheat your oven to 350F (180°C). Prepare all your ingredients by chopping the cauliflower into florets and measuring out everything else. 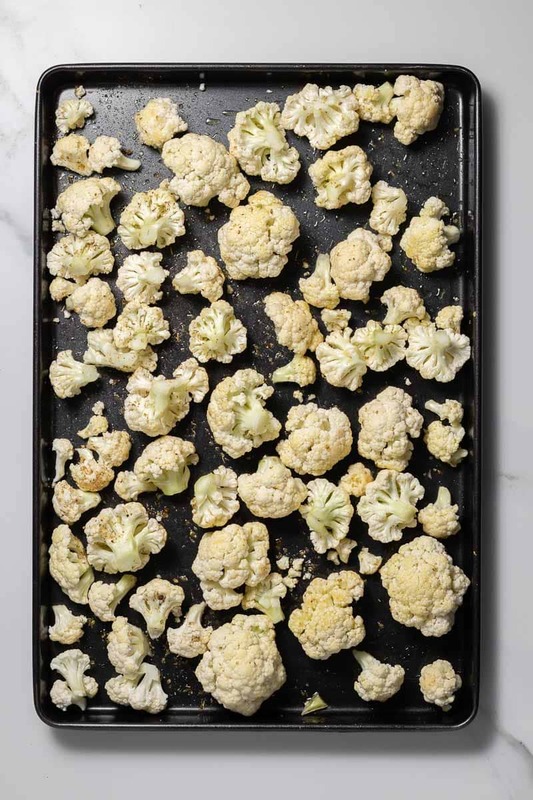 Add the cauliflower florets to a large baking tray. Drizzle over the olive oil and use your hands to rub the oil into the cauliflower florets. Sprinkle the oregano over and give the cauliflower a mix. Bake for 25 - 30 minutes, rotating halfway through. The cauliflower should just be starting to brown when it's done. 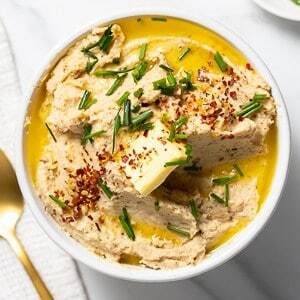 Add the roasted cauliflower to a food processor along with the butter, garlic, sour cream, and salt and pepper to taste. You can also use a potato masher to mash everything together. Process the mixture for 2 - 4 minutes until smooth and creamy. You might need to stop the processor halfway through to scrape down the sides. You can add more sour cream here if the mixture is too thick. Garnish with some butter, chives and chili flakes and serve.